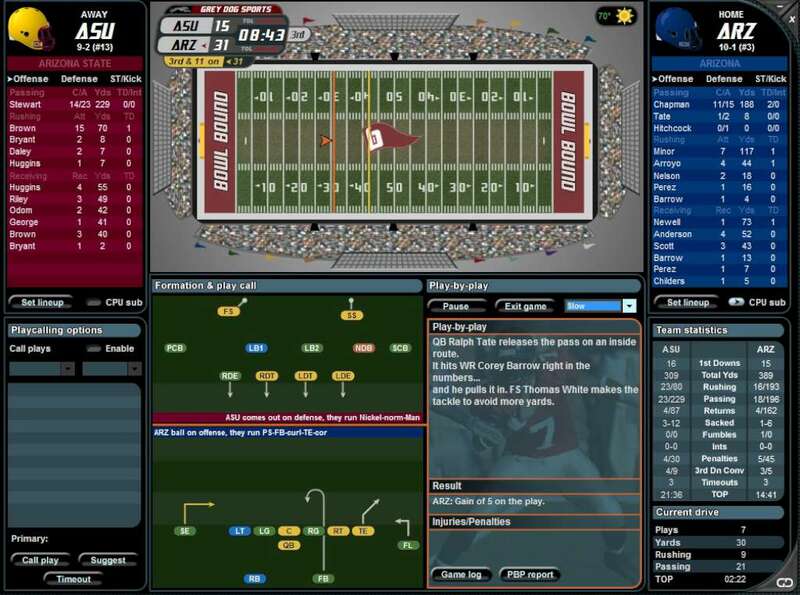 Offering professionally detailed game play, in-depth recruiting process, player development and the most thorough college football simulation engine available Bowl Bound College Football is the simulation college football fans have been waiting for. 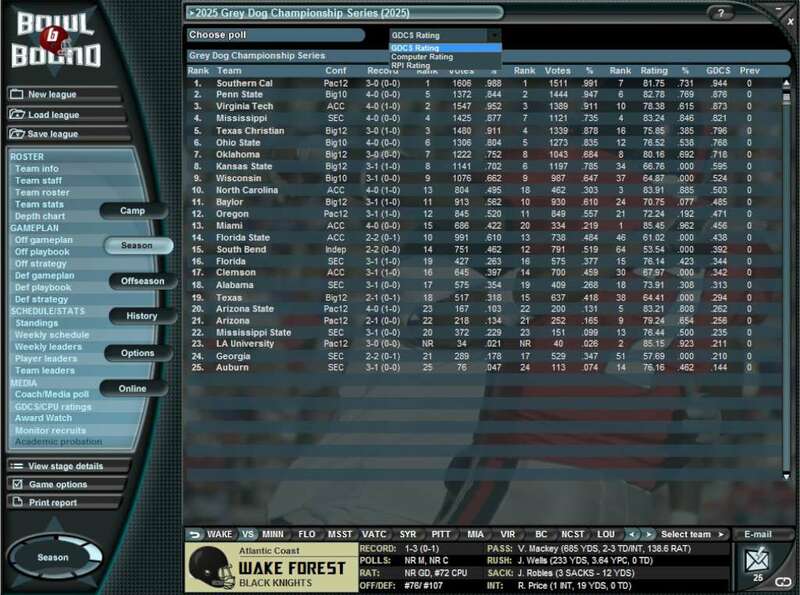 Created by experienced sport simulation developer Arlie Rahn, Bowl Bound College Football presents you with the challenges and complexities of running a modern collegiate football program from top to bottom. 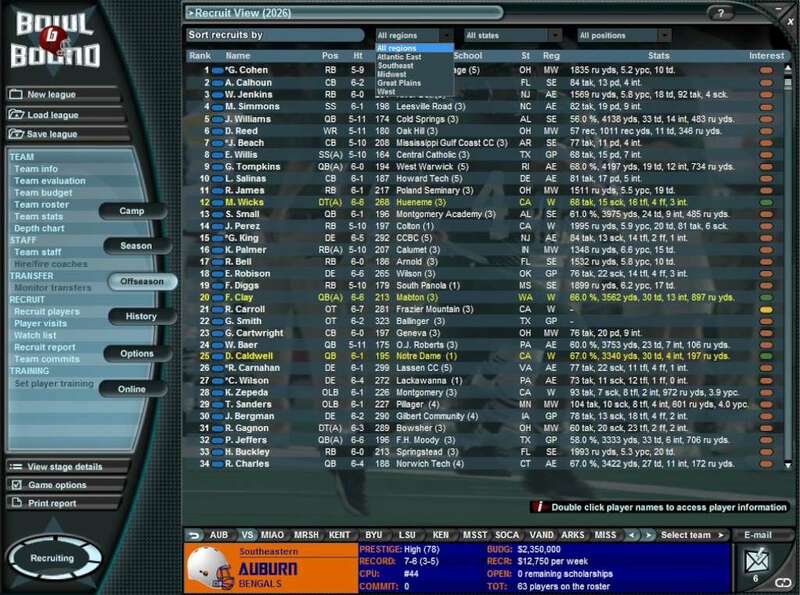 Can you take your favorite college football program and develop it into a national powerhouse or win a national championship? Your knowledge, insight, instincts and decisions will translate into success or failure in developing your program. Invite teams and schedule non-conference games. Your program’s prestige plays a part in whether your invitations to big name schools are accepted or rejected. Tailor your gameplan every week to exploit the weaknesses of your opponent and maximize your team’s strengths. Ability to convert players from one position to another based on an individual player’s ability to learn and adapt to his new role. 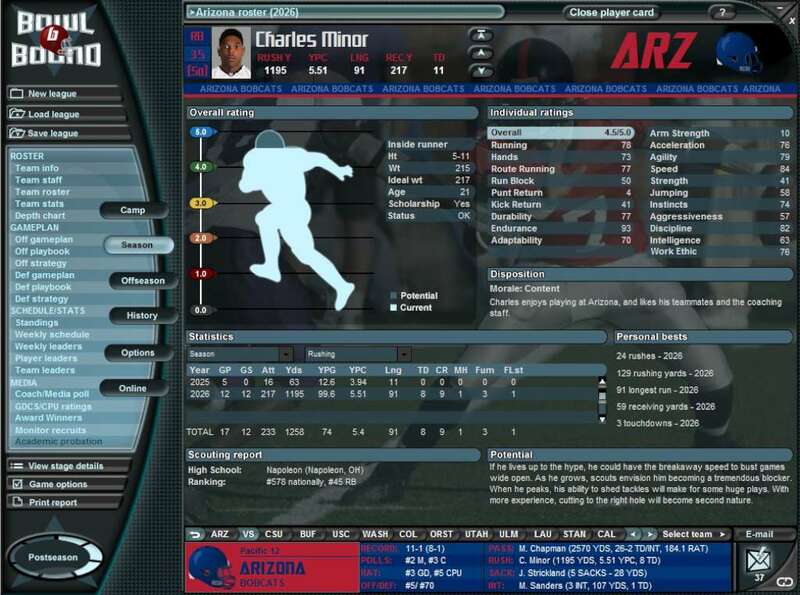 Convert a TE to a WR, a LB to a FB, a OG to a DT, etc. In-depth recruiting process where your program’s and coaches’ prestige and football philosophies matter.